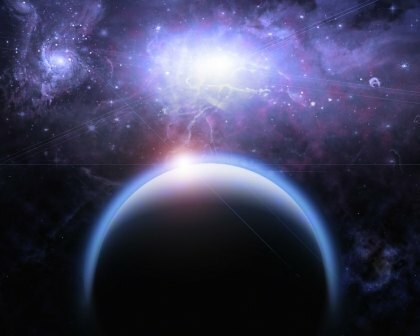 Home » Tomorrow » Scientists find evidence of "Planet Nine"
Is there a Planet Nine beyond Pluto? Out there -- way out there beyond Pluto -- there may be a massive planet. Astronomers are calling it Planet Nine. The research: The discovery of a possible ninth planet is discussed in Evidence for a Distant Giant Planet in the Solar System, by Konstantin Batygin and Michael E. Brown of the California Institute of Technology. Brown is the well-known scientist who discovered Eris, a dwarf planet with an orbit “well out of the plane of the solar system's planets,” according to NASA. The find led to the demotion of Pluto from planet to dwarf planet. Brown also wrote a book about it: How I Killed Pluto and Why It Had it Coming,(Spiegel & Grau; 2010). About Planet Nine: It could have a mass about 10 times that of Earth. The astronomers made the find using mathematical modes and computer simulations, a Cal Tech news release pointed out. The planet has not yet been spotted with a telescope. If you would like to comment give us a shout or like us on Facebook and tell us what you think.